Yesterday my dear general practitioner Paul Roodenburg had organized a farewell drink for all hs patients, because of his retirement. He started his practice when I started studying Dutch in 1981, at the University of Amsterdam. He still remembered my first visit to him when I told him about it yesterday. This was my gift to him. Does not require any further explanation. 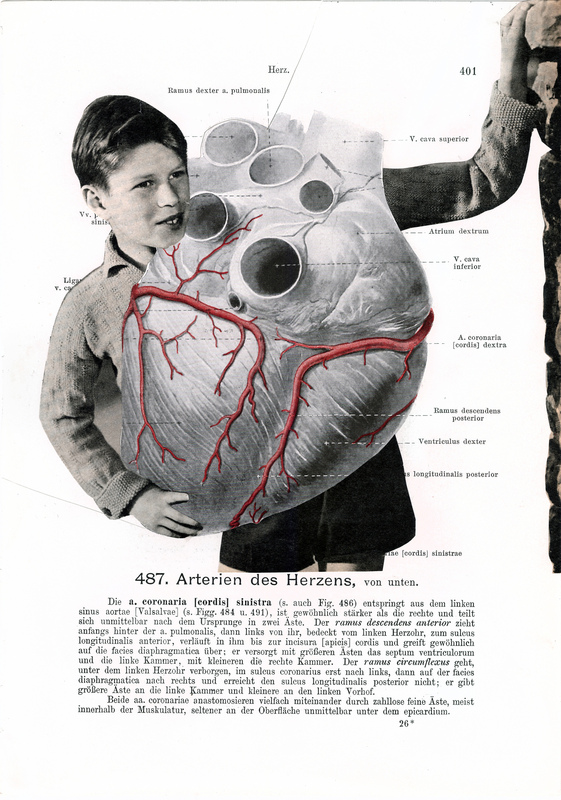 From the collage series The Anatomy Lesson. Posted by mjaquet on 2018/10/13 in collage, present and tagged collage present, the anatomy lesson.